Herding Grasshoppers: Happy Atheists' Day! Bahaha! Is it that time of the year already again!? Have a GREAT DAY! 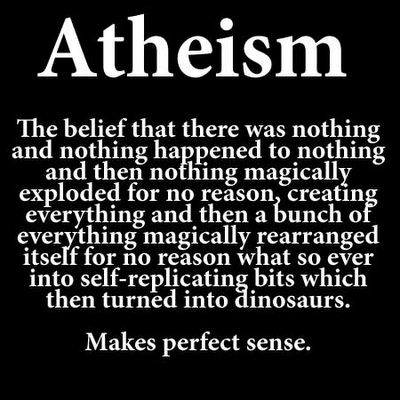 It's a good thing that isn't what atheism means. But no hard feelings. At first I thought, "Is there really an atheist's day?" Then I remembered the date. Then I put the two together. Then I laughed. I'm a little slow somedays! Haha! Hilarious!! Chuckling over that right now. And about your comment on my blog--I will pray. There is great hope for breast cancer, especially slow growing in older people. And yes, I agree-- unbelievers are much less willing to discuss stuff!